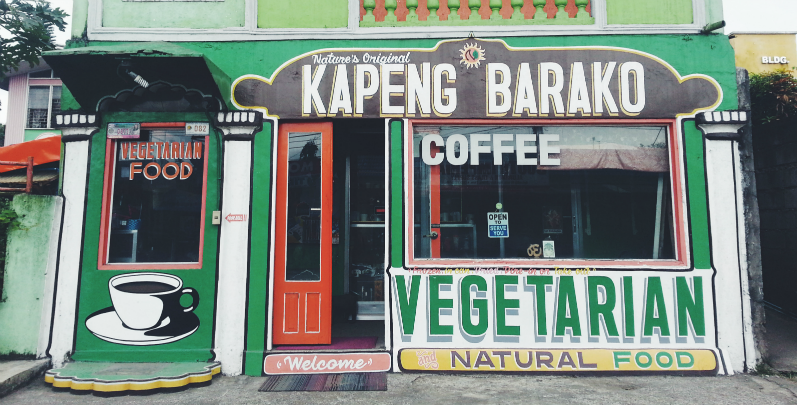 Ever since I could remember, whenever my family (or friends) would go to Tagaytay, I would always notice this quaint shop along the highway of Silang, making a mental note to visit it the next time I'm in the vicinity. I'm sure if you're a long time resident of Cavite, you have seen this place at least once. 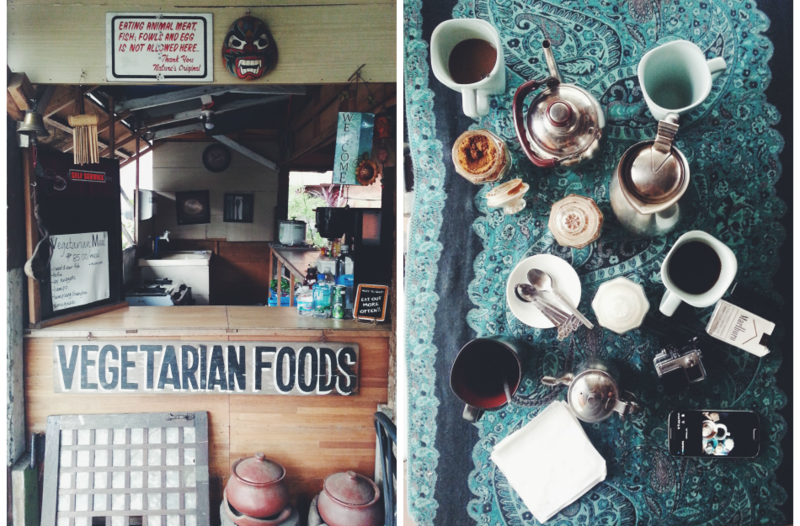 My best friend and I had this long overdue meet-up so we decided to spend an entire day in Tagaytay and start our morning by going here. I was really looking forward visiting this place because I was always intrigued of what's behind the facade. What welcomed us is this cozy, Hinduism-themed store filled with knick-knacks. There were tea pots, coffee pots, cups, a vast mug collection, Coca-Cola memorabilia, figurines, even a Darth Vader (with voice changer) helmet, coffee products as well as ginger tea that are all for sale. We kind of forgot why we went there at first, getting lost at all the cute trinkets that we wish we had enough money so we could take all of them home! After roaming inside for a while, we then settled at a table outside to have coffee. The weather that day was really chilly, almost biting, so we were excited to have a hot cup of caffeine. I normally don't drink coffee (unless absolutely needed but I doubt if it has any effect on me sometimes) but, of course, that day, I made an exception. Not big on 3-in-1s or the kinds from those big coffee shops, but yes to trying kapeng barako! I do not doubt the claims that they serve great brewed native coffee, but being not an aficionado, I was surprised that I really enjoyed it. I think I had 3 cups! I was also really curious with their organic or vegetarian food though we had to leave it out because we planned on eating in Bag of Beans later that day, but I sure will be back to sample those. The coffee was served in mismatched tin pots! How cute is that? We were also given muscovado and white sugar to sweeten it to our liking. 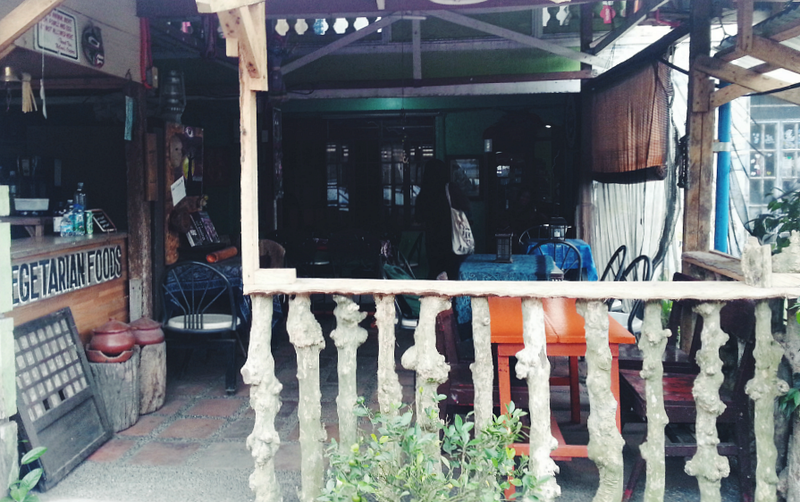 If you find your self strolling down south, this little gem in Silang is a great place to chill with friends, have coffee while watching vehicles pass by. You could learn about vegetarianism, too! For once, drop Starbucks and go here, enjoy the cool weather, a cup (or cups) of joe, some art and support local.